This book review was published by Slashdot, 2013-02-07 . Web designers, graphic artists, and others who create and edit digital images, have a number of commercial image-manipulation packages from which they can choose — such as Adobe Photoshop and Adobe Fireworks (originally developed by Macromedia). Yet there are also many alternatives in the open-source world, the most well-known being GNU Image Manipulation Program. GIMP is available for all major operating systems, and supports all commonly-used image formats. This powerful application is loaded with features, including plugins and scripting. Yet detractors criticize it as being complicated (as if Photoshop is intuitively obvious). Admittedly, anyone hoping to learn it could benefit from a comprehensive guide, such as The Book of GIMP . 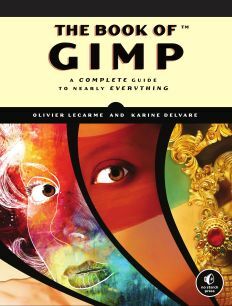 Authored by Olivier Lecarme and Karine Delvare, The Book of GIMP: A Complete Guide to Nearly Everything was published by No Starch Press on 22 January 2013, with the ISBN 978-1593273835. The publisher's page offers minimal information on the book and its authors, as well as a skimpy table of contents, and a free sample chapter (the fifth one, on composite photography). Lecarme has a companion website where visitors will find additional resources, including bonus filters, a forum (albeit almost empty), and a selection of the example images used in the book. This title's 676 pages are organized into 22 chapters and six appendices. The first eight chapters compose "Part I — Learning GIMP"; the remaining chapters compose "Part II — Reference"; and the appendices compose the third part. In a brief but pleasant introduction, the authors encourage readers to follow along by installing GIMP on a local machine. Installation instructions can be found in Appendix E (which arguably should be the first appendix, to get readers started with a local installation). The book is based upon the most recent stable version of GIMP, namely 2.8, which reportedly introduced significant improvements over earlier versions. As one might expect, the first chapter introduces the basics of the GIMP user interface, explaining how to find and open images, use the menu system in the main image dock, and perform basic editing operations, such as resizing and cropping. It also presents some essential concepts in GIMP — filters, layers, and drawing tools — and then discusses the use of a tablet in conjunction with GIMP. The next six chapters each focus on a major category of image work: photo retouching, drawing and illustration, logos and textures, composite photography, animation, and image preprocessing. The last chapter in the group covers utilizing GIMP for crafting the visual design of a website. The only problem I found in the narrative is the inconsistency in terminology, primarily the references to something as a "dock" on some occasions, and other times as a "window"; also, the "multi-dialog window" (page 4) is later called the "multi-docks window" (page 18). Nonetheless, the prose is straightforward and concise; there is a lot of information contained in each section. Consequently, anyone reading these tutorial chapters should take them at a modest pace, and frequently compare the authors' narrative and one's understanding of it with the screenshots and/or one's own results if following along (a practice I strongly recommend for this particular book, so one will better internalize the broad ideas as well as the details). Each chapter concludes with a set of exercises, whose questions tend to be much more open-ended and difficult than those normally found in technical books. In fact, readers may be frustrated how some of the exercises challenge one to perform task completely unmentioned in the corresponding chapter. For instance, the very first one in the book, Exercise 1.1 (page 24), asks the reader to build a new dock with dialogs, even though at no point in the chapter was the reader told how to do anything remotely like this. Appendix B contains tips for a minority of the exercises. The bulk of the book, "Part II — Reference", offers almost 400 pages of details on every aspect of GIMP: the user interface, its displays, layers, colors, selections, masks, drawing tools, transformation tools, filters, animation tools, scanning and printing images, image formats, scripts and plugins, and other methods of customizing the application — with each chapter starting with the basics. All of the information is terrific, but the thoughtful reader may wonder why the book begins with advanced topics — such as photo retouching, composite photography, animation, and website design — and later presents the detailed explanations of all the aforementioned aspects of using GIMP. It seems to me that it would have been better to present the Part II chapters first, and then present the advanced topics currently in Part I, except for what is now Chapter 1 ("Getting Started"), which would still be a fine way to begin the explication. The third and final part contains half a dozen appendices, the first of which is a fascinating exploration of the science of human vision and the three main models of digital color representation. As noted earlier, the second appendix contains tips and hints for some of the chapter exercises. The third appendix is brief, but contains a wealth of online resources for anyone who would like to learn more about GIMP and its community. The next appendix contains a list of frequently asked questions and their answers, and is well worth reading. The fifth chapter explains how to install GIMP on computers running GNU/Linux, Unix, various Linux distros, Windows, and Mac OS X. The final appendix addresses batch processing of images, including the use of ImageMagick. The production quality of this book is excellent (judging by the print copy kindly provided to me by No Starch Press for review). It was a smart choice on the part of the authors to request full-color images on every page, and the publisher's decision to do so, given the book's visual subject — even though it resulted in a heavier product (3.4 pounds). Naturally, as a book discussing an image editor, this one makes extensive use of example photos and other images, which are extremely helpful to the reader. 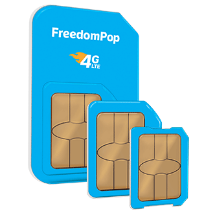 Only a few problems were evident; for instance, Figures 1.24 and 1.25 are so small that the cropping pointers are almost invisible. In some cases the descriptions or screenshots do not match what I saw when following along; for instance, on page 3, the author states that the three startup windows (Toolbox, Image, and multi-dialog) by default occupy the full width of the screen, which contradicts the screenshot in Figure 1.1, which shows the Image window at partial width. The writing is generally clear and easy to follow, even though some of the phrasing is odd (e.g., "source text" to mean "source code"), perhaps because both authors are French. That could also account for the errata — for instance, "on [the] left" (page 15) and "its there" (page 22) — of which there were remarkably few for a book of this length. If any reader is looking for a free and full-featured image-editing program, then by all means consider GIMP, as well as this outstanding tutorial and reference book.